When was the last time you took an hour out just for yourself? As in, you physically put aside time on the calendar to spend time doing something you love? If you're anything like us, it was a long time ago. But why? With job stress on the rise, the danger of not implementing these simple self-care rituals is burnout, or, even worse, an emotional breakdown. Selena Gomez vocalized the important of self-care earlier this year when she took a tour break to focus on her mental health. “I want to be proactive and focus on maintaining my health and happiness,” she said in a statement. It's good to see the simple act of self-care back in the social narrative. In a fast-paced world that doesn't seem to stop, there is a collective need to slow down and switch off. And it's time we started empowering ourselves with the simple tools to make it happen. Incorporating a few of these simple science-backed rituals into your daily life will help you breathe a little easier and keep your stress levels in check. Keeping a level head isn't so easy when you're juggling a myriad of different balls in the air. But if you're feeling overwhelmed, take some time to get whatever is on your mind out of it. Sometimes this means reverting to the old-fashioned art of putting it on paper. The benefits of journaling are scientifically backed, after all. In a 2005 study on the emotional and physical health benefits of expressive writing, researchers found that just 15 to 20 minutes of writing three to five times over the course of the four-month study was enough to make a difference. In fact, the act of writing is so powerful it can even make physical wounds heal faster. New Zealand researchers found their patients healed faster when they wrote their thoughts and feelings for just 20 minutes, three days in a row, two weeks before a biopsy was performed. If you don't want to keep a journal, try free-form journaling instead. This process involves writing down and releasing all the negative thoughts and internal tension you have. Start your script with "I let go of…" or "I release…" and then let loose with whatever comes to mind. Let the pen write without thinking, you'll be amazed at what comes out. Then once you're done (about 5 to 10 minutes is good), rip it up and throw it in the trash. In this age of technology, there is no off switch anymore. We're constantly distracted. From the buzzing message alerts on our smartphones to the beeps of our Google calendar reminders, it's akin to an arcade hall in your hand; it's just that the doors never close at the end of a long day. So how do you switch off the incessant noise and flashing lights of modern life and shut down for a while? Schedule some alone time in you're e-cal for starters, and then turn on the "Do Not Disturb" feature on your phone so no one can contact you (email, call, or text message) during the time you set. Yep, it's time to start making technology to work in your favor. It doesn't matter what you do in that alone time, but a few things we recommend are reading, water coloring, meditating, or cooking. You could even pick up a new hobby or start on that DIY you've always wanted to try. Just remember, this is your time, so even if you spend it relaxing or being still and doing nothing, the choice is yours and just enjoy it. If there's one self-care ritual you can easily adopt today, it's the act of dry body brushing. Miranda Kerr swears by it. "It’s a great way to get the circulation going, remove dead skin cells, aid lymphatic drainage, detoxify your system and keep your skin smooth all over," she told The Daily Mail. "I start with my feet and legs and work my way up in quick gentle strokes. It needn’t be too time-consuming and just takes a few minutes before jumping into the shower." Integrative medicine physician Frank Lipman, MD, founder and director of the wellness company Be Well, agrees. "It also stimulates the circulation beneath your skin," he says of the pre-shower maneuver, "which helps promote cellular renewal and vitality." Just taking this time out to heal your body is rewarding in of itself. You drink water when you have a headache and take vitamin C when you're feeling ill, but what have you done lately for your mental health? How often do you take the time to heal any psychological wounds? We can probably bet that many of you don't. Psychologist Guy Winch believes we pay more attention to the body than the mind and that we could all do with a good dose of emotional first aid. And we all know how physically crippling it can be when we ignore our emotional pain. So how do we start? In Winch's Ted Talk, he outlines some of the ways we can practice emotional hygiene to take care of our emotions and our minds with the same care as we do our bodies. 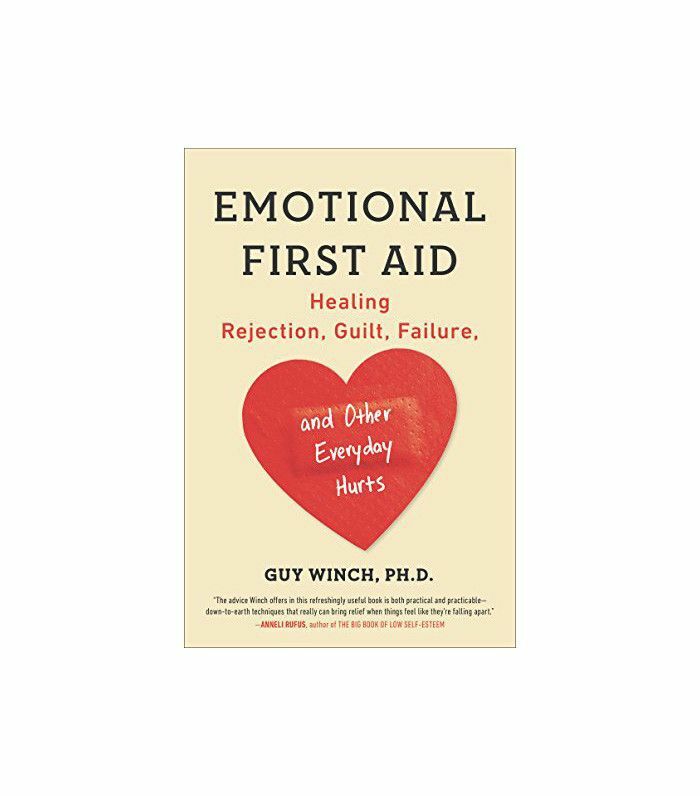 From paying more attention to our emotional pain to redirecting your gut reaction when you fail, Winch shares his seven steps to practice emotional first aid so you can start today. The benefits of yoga are well known and widely researched, however, you don't have to go to a class to reap the health rewards. Take 10 minutes for yourself each day when you get home from work or first thing when you wake up to focus on the breath and stretch out your muscles. If your job requires sitting at a desk for 8 hours or more, it can really take its toll on your health—do these stretches if sitting is hurting your back all day. 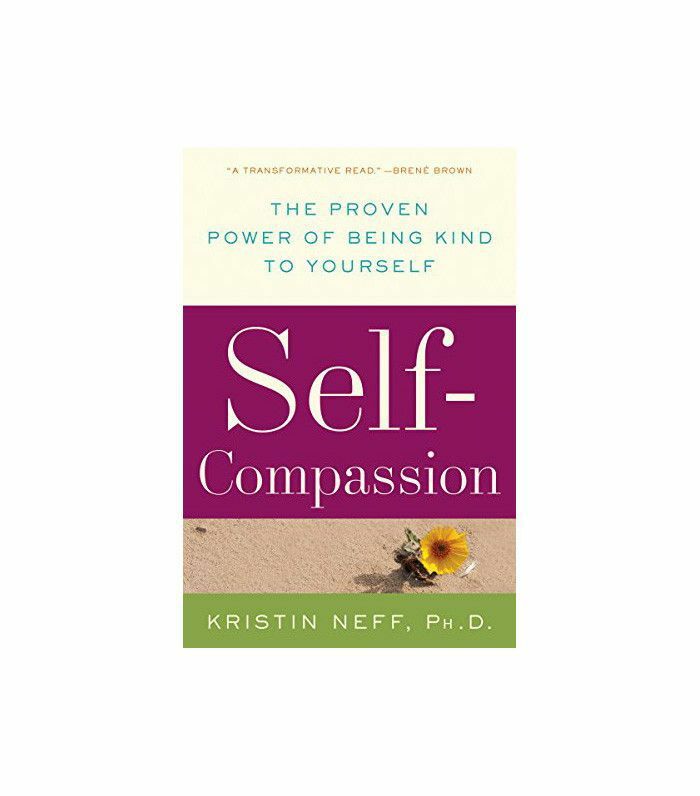 If you then factor in the cortisol levels of work-related stress, your body is in dire need of some self-love. Harvard psychologist Amy Cuddy says we should all start the day with a "power pose" or "V stretch" before we even get out of bed. So when you wake up each morning, lie back and take a stretch that spreads your body as wide as possible before putting your feet on the floor. "The people who wake up like this—as in, stretch and make a V with their arms—are super happy, like annoyingly happy," she told Business Insider. So whether you do it in the morning (in bed or out of it) or you prefer to at night, make an appointment with yourself to stretch it out every day. Even put a reminder alarm on your phone if you have to, whatever it takes. We guarantee after a few weeks this self-care ritual will pay off in happiness dividends—these simple wintertime stretches will get you started. If you've never heard of the term grounding before, perhaps you know it as earthing. It's hard to believe we even need to be told to put our bare feet on the earth, but that's exactly what it's come to. When was the last time you walked sans shoes on the grass outside? It's been a while, hasn't it? If you're wondering why it's even important, you only have to hark back to your childhood memories and remember the inexplicable joy you felt when running through the fields or on the sand outside. There's even a science to that internal feeling of glee. According to celebrity nutritionist Kymberly Snyder, the simple act of grounding helps bring us back to a neutral, balanced state. "Negative ions from the earth’s surface rush into our bodies to discharge the many unpaired positive ions or free radicals, we’ve picked up in daily life," she wrote on her blog. "Those free radicals are associated with disease, aging, and inflammation, and when you expose your bare skin to the soil, grass, or even concrete, the earth’s healing powers swoop in to save the day." And science backs her up too. Studies have found grounding can improve cardiovascular health, lower stress levels, enhance sleep, reduce osteoporosis and inflammation, as well as slow the aging process. So kick off those shoes and walk around in the grass, dirt, sand, rocks—whatever is natural in the earth around you. You can even lie on the ground, take a nap, meditate, or stretch. Just a few minutes is all it takes to reap the benefits. While we do it subconsciously every day, breathing is definitely something we should stop taking for granted, stat. When MyDomaine editor Sophie Miura spent time practicing the art of breathing with Michelle D’Avella, a breathwork teacher and self-care coach in New York, she didn't expect it to be so liberating and healing. "I’d been so nervous about how I’d feel when left alone with my thoughts, but there was nothing scary about the experience," she wrote for MyDomaine. "The revelation was amazing—I felt overwhelmed with happiness, and stress dissipated." So what is it exactly? 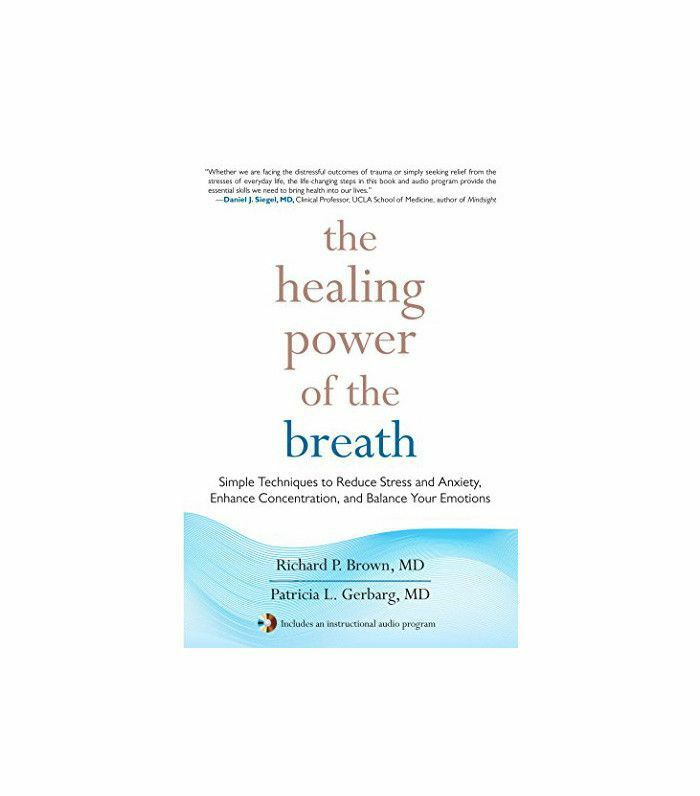 Breathwork is a meditation practice that uses simple breathing exercises to improve mental, physical, and spiritual health. “[It’s] an active meditation that moves stuck energy, limiting beliefs, and emotional blockages,” explains D’Avella, who says the practice has transformed the way she deals with stress and anxiety. So if you're feeling these negative emotions, practice breathwork and feel the release. This post was originally published on November 7, 2016, and has since been updated.